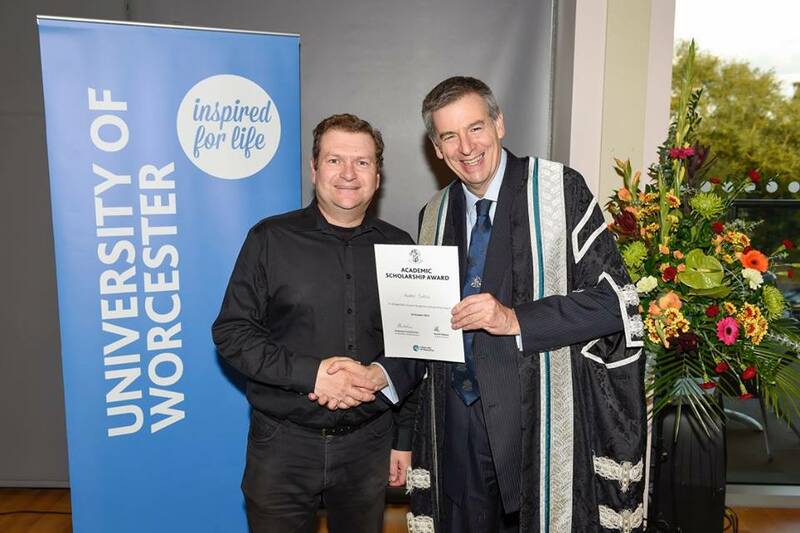 On October 20th 2015 Andrew Owens was presented with an Academic Scholarship Award in recognition for his outstanding achievement in his studies towards a joint honours degree. Andrew is currently in his third year of a Creative & Professional Writing/Screenwriting BA. Presenting Andrew with his award Vice Chancellor and Chief Executive Professor David Green. Posted on October 30, 2015, in Uncategorized. Bookmark the permalink. 2 Comments.